Koch Turf & Ornamental presents UFLEXX™ stabilized nitrogen enhanced efficiency fertilizer providing protection against all three forms of nitrogen loss–ammonia volatilization, denitrification, and leaching. UFLEXX™ fertilizer delivers quick green-up and a consistent color response for up to 8 weeks. Fewer applications leave time to visit more properties or add new customers. You can also choose how you want to treat these properties. 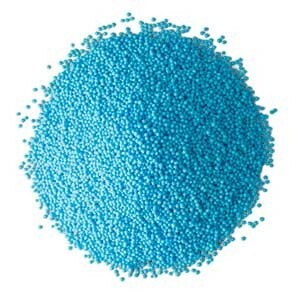 The completely soluble granules perform equally well when dry-applied or tank mixed. Incorporate UFLEXX™ fertilizer into your nutritional programs. Now you can better manage your time, your business and customer expectations, on both sides of the ledger.